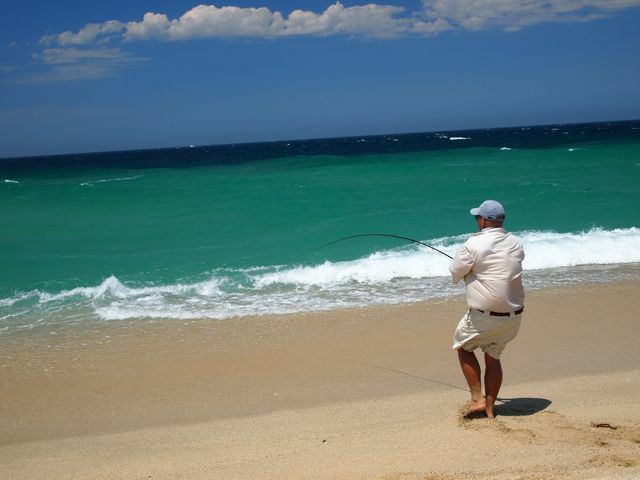 I had some fun fishing the beach this year. 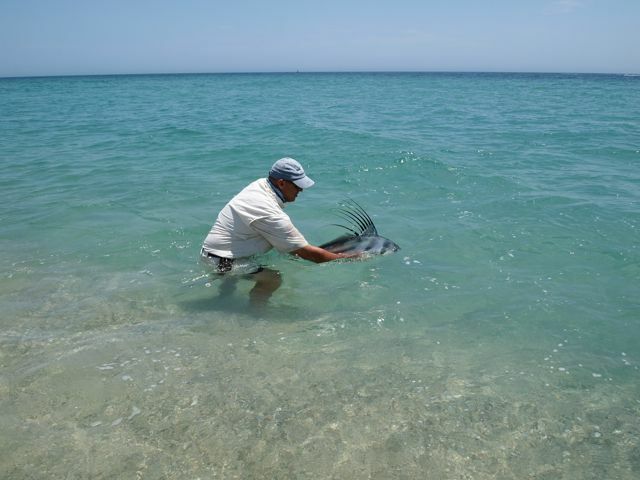 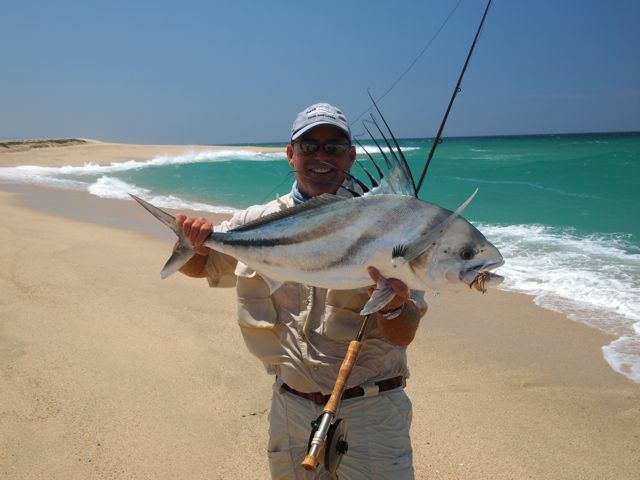 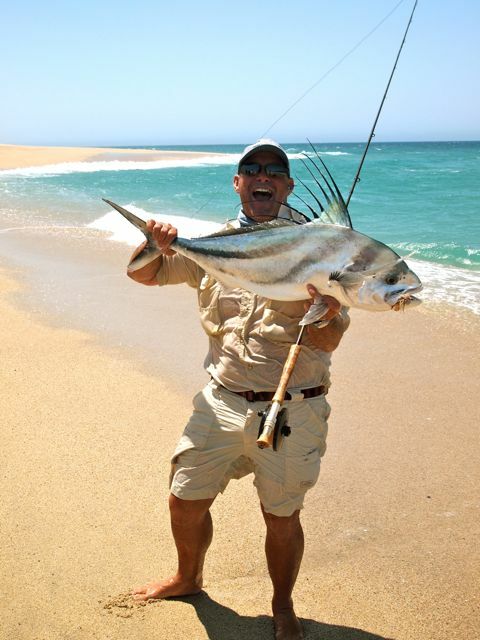 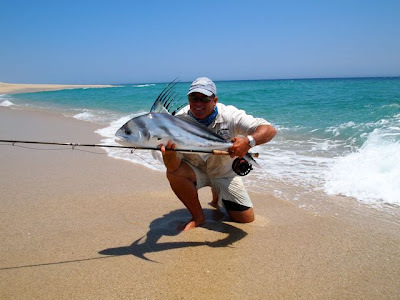 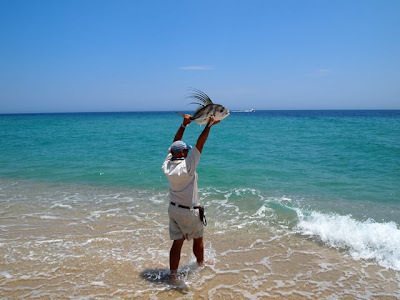 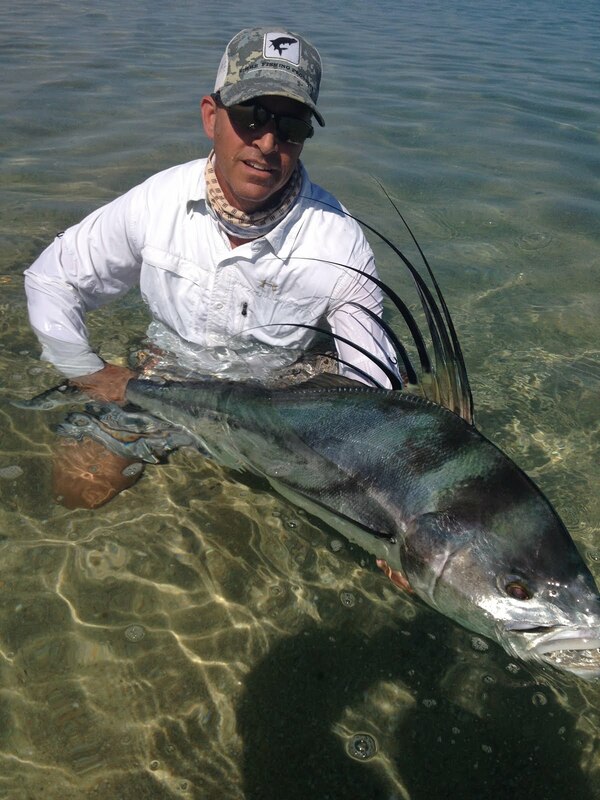 Here are some pictures of fun sized roosterfish, not grandes, but still a blast to catch. Steve Huff fished with both Gisel and I on the beach.. 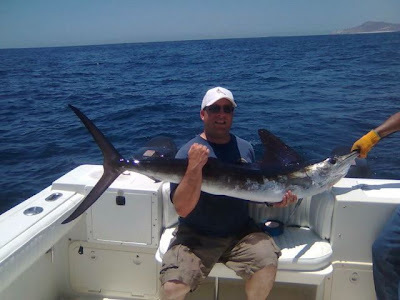 I guided his buddy Mark, but Gisel guided Steve.. It was a great pleasure to meet and fish Steve. 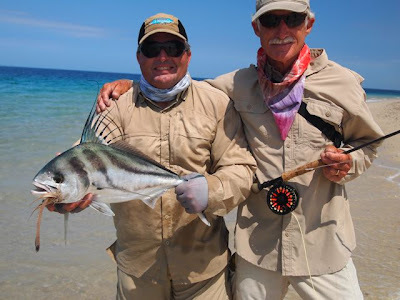 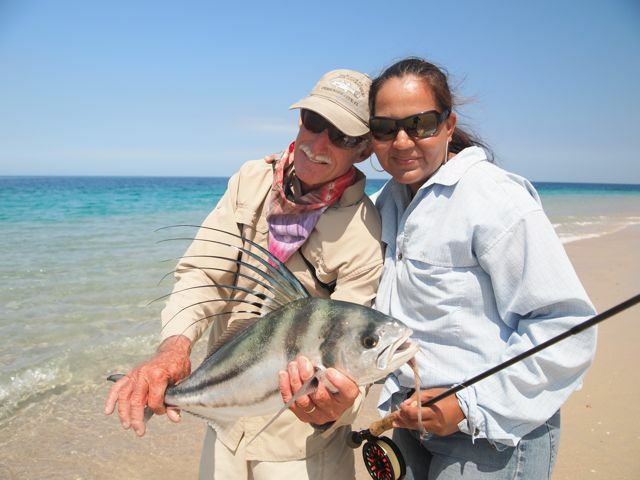 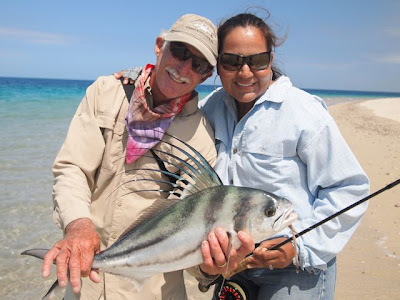 He caught a few fun sized roosterfish this day and lost a Grande on 12 lb tippet the day before..
Don Pate catches a nice marlin on light tackle with our Capt. 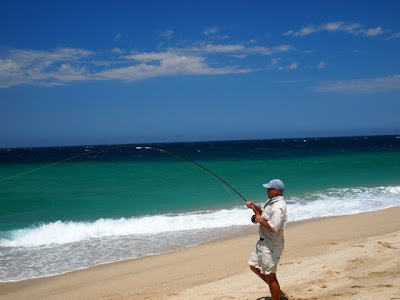 Alex.